With the verification and evaluation of various aspects related to the project the information is being gathered so as to formulate a report in concentration with Millennium Furniture Company. The report will include the information related to project management as there is a need of development of new project in the organisation so as to expand the business. Millennium Furniture Company wants to expand its business in relation which a project is being developed which requires providing proper information related to various aspects of business. With the help of this Millennium furniture project management assignment an authenticate information related to project management will be shared which will cover almost all the information related to project management so that Millennium Furniture would be able to make sure that its project will be formulated in an effective and efficient manner with the help of which it would be able to make sure that the business would be expanded and will move on the verge of success and sustainability. The project planning process in which a proper set of list is being prepared related to various aspects related to the project. It provides a set path for the work process related to the project which is to be formulated in the business. It is important or every organisation to have a set plan for the project as it helps in developing various aspects related to the project (Pennington, 2011). Project scope planning is one of the most important aspects with the project as it provided a future aspects related to the project with the help of which a project can be completed in an effective manner. There are various aspects that are related with the project scope they are: project goals, project deliverables, tasks, costs and deadline or the end date of the project till when the project must be completed (Theresa, 2014). With the help of project scope Millennium Furniture Company would be able to assure that the organisation will be completing the task or the project within the prescribed time and project would be completed according to the instructions set for the projects. Completing the work flow of the organisation within the time will help in saving money and will help in enhancing the goodwill of the organisation. There are various steps involved in project scope management according to which the project must be completed so as to make sure that an organisation would be managing the work in an effective manner and will be attaining the objectives of doing the project so as to earn effective amount of revenue (Needs, 2014). Define Needs: The first step is to define the need of formulating a project. It is important that Millennium Furniture Company should know that what is need of the project so as to assure that the further step could be processed in an effective manner (Knapp, 2010). Understand the Project Objectives: After defining the need of the project it is important that the objectives of the project should be determined so as to make sure that the project that is to be formulated is effective or not. Formulated project: After determining both the aspects the project must be formulated as analysis of both the aspects will help in gaining the knowledge that company will generate effective amount of profit with the project (Knapp, 2010). It is being stated that requirement can be in both types such as functional as well as non-functional. Requirement is being specify about the project that what is being delivered to the customers and it is being necessary that the product which is being delivered is must be as per the demand of the customers (Filev, 2010). 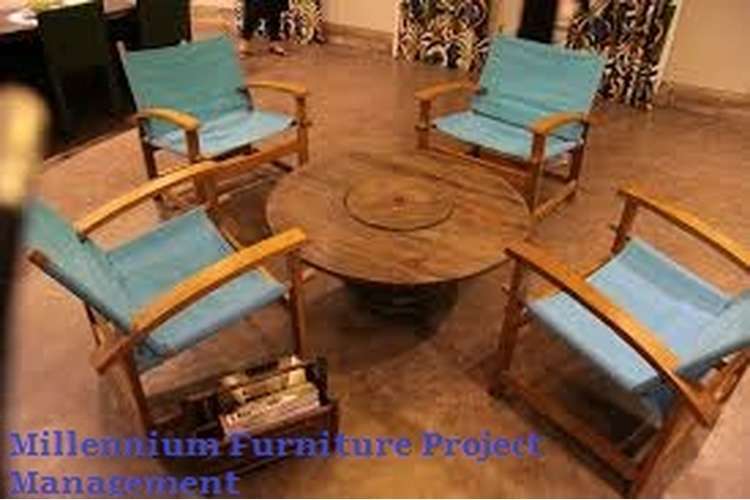 As it is being stated that both the terms functional and no-functional are being different from each other but it is being necessary to look after on both the terms to complete the order that is being taken by the millennium furniture company and also to be completed on time for the successful achievement in the competitive market. Description of the feature of manufacturing of work. Description of the plans that are being concerned in the manufacturing of the furniture. Functional requirement is being stated about the characteristics of the furniture in non-technical language and the characteristics must be understand by the customers as the customers plays a vital and direct role in the manufacturing of furniture. The requirements in the furniture is the colour, size, style and also about the specification of date on which the furniture is being manufactured and it is all being depend on the demand of the customers (Needs, 2014). Non-functional requirement is stated about the criteria that are being required to judge the furniture which is being delivered to the customer. As there are some restriction and constraints are being included in the delivery and manufacturing of furniture. As the functional requirement in the furniture we take an example of chair that it would carry a load of approximately of 200 kg and for this the non-functional requirement is being that the timber that is being used for the manufacturing of chair must be of good quality that the chair must be made from teak wood (Theresa, 2014). Project plan is one of the most difficult steps that are to be prepared by an organisation. A project plan is one of the toughest and critical tasks that are to be maintained so as to assure that the project could be completed within the time frame (Dalci, Tanis, & Kosan, 2010). Project plan provides a set path according to which project could be completed within the time frame in which the project has to be completed. Before making a project plan it is necessary that an organisation should assure all the aspects that can help in making effective decision related to the project. Project plan needs a proper evaluation of various future aspects which can hinder in the process of the project so as to assure that the project must be processed in a smooth and subtle manner (Chand, 2015). Setting Project Goals: The first step that is to be followed by Millennium Furniture Company is to set project goals so as to gain the knowledge that what are the various factors that will be benefited with the help of the project that is to be prepared (Bennouna, Geoffrey, & Marchant, 2010). Project Deliverables: After setting the gaol for project another step is to identify deliverables required for the project. It is important to make the list of various aspects that will be required in the project so as to assure that the project could be processed in the smooth manner (Jennifer, 2014). Project Schedule: Another step is preparing a project schedule in this division of task is being done and a time frame is being prepared so as to assure that each and every task should be completed within the set time. Project scheduling helps in completing the project within the prescribed time. With the above fig the scheduling of the project could be better understood as it is showing the evaluation of the time frame in which the project is to be done and works as a reminder so as to make sure that each and every task could be completed within the time frame in which the project is to be completed (Pennington, 2011). Supporting Plans: Last step is to support the plans; it requires the discussion with each and every department related to the project. There are various departments that are being indulged in the project planning process. Like human resource plans, communication plans. With the help of these aspects project plans could be formulated in an effective manner (Koskinen, 2015). It is being stated that strategic alignment is provide a proof in the context of use of information system is good for the achievement of the organizational goals. As it has been known that project objectives are being implemented to achieve the targeted goals. Objectives are the short term goals while the organizational goals are long term goals. The objectives are being established to attain the organizational goals. It is being observed that lots of short term objectives are being establishes and also completed for attaining the organizational goals (Piscopo, 2012). The align information system is a dynamic state in which the company would be able to use the information technology in an effective way for the completion of the project objectives which would be helpful in attaining the organizational goals. The align is being given a contrast to often an experience in the organization. As the company’s goal is to expand its business and it could be done by attaining all the objectives related to the project of the company which could be done with the help of align of information system (Koskinen, 2015). The components that are being followed in the context of achieving the organizational goals are as primary purpose of the information system, defining the goals and objectives which the company wants to achieve with the help of the information system, description about the plan of information system which is being essential to attain the organizational goal, providing the evidence in the context of supporting the idea of information system project, illustrating about the model that is being used in the information system and in the last listing the necessary steps that are being involved in building the information system (Theresa, 2014). The information system is being so important to achieve the targeted objectives and goals. As it is being cleared that the goals are being depends on the completion of the objectives and the objectives are completed with the help of the information system. As in the case the company has two systems to store the data which is being important for the company. The company has to use better align information system to achieve its goal of expansion of business. The information system is being helpful in achieving the competitive advantage which would be necessary for the organization to achieve its target of expansion of business (Egeland, 2015). Estimation of the project is the process related to the project in which cost is being analysed of various aspects indulges in the project. In this process each and every cost related to the project is being calculated so as to make sure that the project could be completed in an effective manner (Dalci, Tanis, & Kosan, 2010). Cost analysis is being done so that organisation could avail the required funds related to the project so as to make sure that project process could be formulated in a smooth manner. Below is the table showing project estimation according to which all the expenses are being calculated so as to assure that the project would be completed in an effective manner. First step that is required to evaluate in the project cost is Project statement. Project statement is the aspect in which the comparison of the estimated cost is being done with the benefit that would be provided to the organisation (Wilkins, 2011). Secondly various investments are being calculated like equipments required, requirement of land, building etc. is being done. Thirdly working capital is being estimated which is required in the project process. Estimating the cost of a project is one of the most important factor that is attached with the project as with the help of this the project gets a proper framing and an estimation could be made that how much funds would be required by the organisation to process the project (Dalci, Tanis, & Kosan, 2010). First step is to identification of the potential risks that are being involved in the project and which become hindrances in the completion of the project (Koskinen, 2015). Second step is being related to determination of the probability that the risk is how much dangerous in the context of the project or the chances of effect of risk on the project. Third step is being related to determine the impact of the risk on the completion of the project. As it is being observed that the risk would make a heavy impact on the completion of the project (Knapp, 2010). Delay in receiving the money in context of delivery of the project and this cause a delay in the payment to the supplier which leads the company to the wrong way. Delay in time between the receiving order and delivering the odder as most of the customers are complaining about this time period (Piscopo, 2012). Increase in the cost of clerical assistance as the orders that are being partially derived required to maintain the bookwork in context of maintain the records. Lots of stock which is being manufactured may be unsold which leads to huge loss to the organization. Increase in the number of warranty claims which become a headache for the organization and it leads the company in downward (Piscopo, 2012). With the evaluation and verification of various aspects related to the project the measurement of the project success could evaluated so as to gain the information related to the project progress (Jennifer, 2014). Measuring the project success could be estimated by comparing the estimated performance with the actual performance. To measure success of the project evaluation of end result is being done by evaluating each and every aspects and steps indulge in the project and a comparison is made with the estimations that were being made related to the project and if the actual performance is equivalent to the estimated performance than the performance is termed as perfect (Piscopo, 2012). Likewise measurement of cost of project is being done so as to make a proper estimation that whether the project was cost effective or it was costly. In this prepared budget is being compared with the actual cost that is being indulge in the project if actual cost that incur in the project is evaluated more than the budgeted cost than the project is termed as a costly project and if it is estimated as the lesser or equivalent to the budgeted cost than the project is termed as cost effective project. Therefore it can be seen that measuring the project success is a very important aspect that help the organisation to assure that the organisational objectives related to the project are being achieved in an effective manner and provide the help in developing another project that can help the organisation to grow and develop in the market (Needs, 2014). With the help of above figure the estimation could be made in relation with the fact that while implementing the project various fluctuations occurs with the change in time which affects the project success and project cost. Due to which measuring the project success on the regular basis become necessary as with the help of the measurement of success Millennium Furniture Company would be able to make sure that it will complete the project within the time frame and within the prescribed time of project in an effective and efficient manner (Jennifer, 2014). Initiation: The first step is being related to the initiation of the project in which the company is think about the expansion of the business and in the context of which the company has to look after the various aspects of the business for which the company has to make plans in the context of the expansion of business (Pennington, 2011). In this initiation part the company gets an idea for the expansion of its business. The idea or thinking about the expansion of the business is the initiation of the project. Planning: The second phase is related to make a plan in the context of the expansion of the business and also about various steps that are being taken in the project of expansion of business. in this the company think over the place, price, opportunities etc. which are being included in the context of the expansion of the business (Filev, 2010). The planning is all about the blue print of the project. Execution: The third phase after the planning is about the execution of the plan on the ground for the expansion of the business. In this phase the company takes it project on the ground to achieve the targeted goals. With the execution the project is takes a physical place on ground from the blue print (Needs, 2014). Controlling: After the execution the fourth phase in the completion of the project is about controlling in this effective measures are being taken to remove the deviations for the project and also to complete this project in an efficient manner. The deviations are the difference between the actual and desired results and to remove these deviations it is being necessary for the company to take such corrective actions. Closing: The last phase of the project is to close the project after the controlling this phase would tell about the completion of the project in an efficient manner. It is being so necessary for the company to close the project after the completion of the project (Needs, 2014). This term would help in getting information about the duration that is being required for the completion of the project and with the help of this the company would be able to know about the minimum time that is being required for the completion of the project in an effective and efficient manner. Total duration that is being required for the completion of the project is 23 days. With the evaluation and analysis of various facts indulge in the report related to project management the conclusion that is being made is in the direction of positive aspects as with the help of the report Millennium Furniture will be able to make sure that it would achieve all its targets and objectives which it has set so as to achieve its goals. With the help of various aspects indulge in the report it could be seen that project management is one of the most important aspect with any of the organisation as it provide an effective path so as to make sure that the organisation will move on the verge of effectiveness and sustainability. With the verification of various facts indulge in the report it could also be concluded that cost analysis of the project, measuring the risk factors, measuring the success of the project is a very important aspect related to the project which helps the organisation in decision making and helps in assuring that the project will be completed in an effective manner and the organisation will be able to achieve its targeted goals. Bennouna, K., Geoffrey, M. G., & Marchant, T. (2010). Improved capital budgeting decision making. Management Decision , 1. Chand, S. (2015). PERT and CPM. Article Library , 1. Dalci, I., Tanis, V., & Kosan, L. (2010). Profitability Analys. International Journal of Contemporary Hospitality Management , 1. Egeland, B. (2015). The challenge of project risk management. Journal of CIO , 1. Jennifer, L. S. (2014). Project Management Success. Journal of CIO , 1. Knapp, B. W. (2010). Essential project management templates. The Project Management Excellence Centre Inc .
Koskinen, H. (2015). Time Series Analysis. The Social Insurance Institution , 1. Needs, I. (2014). 5 Major Benefits of Adopting an Effective Project Portfolio Management and PMO Initiative. Journal of Keyed In , 1. Pennington, C. (2011). Business Projects – Why Undertake Them. Professional Advantage , 1. Piscopo, M. (2012). Measuring Project Performance. Project management , 1. Theresa. (2014). The reasons for undertaking projects. FFTS Growing Business , 1. Wilkins, S. (2011). Network Diagram Creation and Interpretation. Pearson It Certification , 1.